Make yourself at home in one of the 60 air-conditioned rooms featuring LCD televisions. Rooms have private balconies or patios. Cable television is provided for your entertainment. Bathrooms have showers and complimentary toiletries. For lunch or dinner, stop by Robesca, a restaurant that specializes in international cuisine. Dining is also available at the coffee shop/café, and room service (during limited hours) is provided. A complimentary breakfast is included. Featured amenities include a business center, complimentary newspapers in the lobby, and dry cleaning/laundry services. Event facilities at this hotel consist of conference space and a meeting room. A roundtrip airport shuttle is provided for a surcharge (available on request), and free self parking is available onsite. 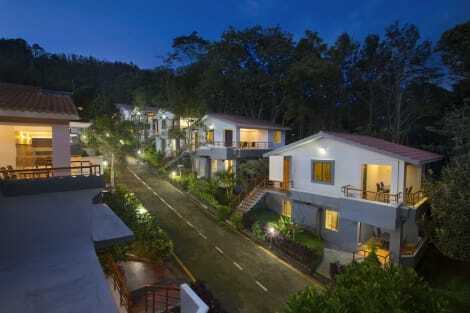 lastminute.com has a fantastic range of hotels in Yercaud, with everything from cheap hotels to luxurious five star accommodation available. We like to live up to our last minute name so remember you can book any one of our excellent Yercaud hotels up until midnight and stay the same night.